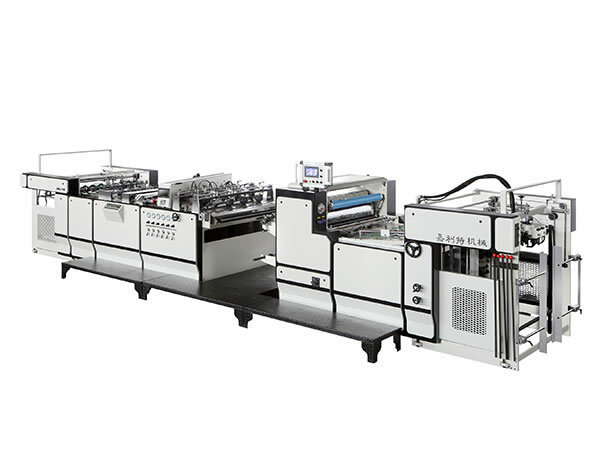 The FY-B automatic thermal laminating machine is specially designed for glue-less paper-film lamination. 1）	The laminator works without a gluing unit, saving resources and energy consumption. 2）	The heat pressing roller is heated internally with an oil heating system for high temperature rolling and consistent operation. 3）	High speed feeder ensures stable and accurate sheet feeding. 4）	Non-stop feeding and stacking ensures a high level of operating efficiency. 5）	Optional chain blade cutting system specially designed for cutting PVC and PET film. 6）	Anti-curl unit for thin paper treatment.